In a cruel paradox, the construction industry has simultaneously been a victim of Brexit, and of its reputation for resilience. Even before the vote to leave the EU, UK construction was facing a chronic labour shortage. The pain has been increased by the ‘Brexodus’ of skilled EU workers over the past two years. And yet with labour cost pressures spiking, developer demand flatlining and bank lending continuing to slide, most politicians have barely batted an eyelid. With the sound and fury of Brexit drowning out everything else, our elected representatives have shown a worrying disregard for the increasing fragility of the construction industry. However the sector’s ability to ride out booms and busts should not be taken for granted, especially with many contractors now staring into a labour force black hole. In November, it was revealed that EU workers were quitting the UK at the fastest rate for more than two decades. Among the departees were thousands of Europeans who answered the call to work on British construction projects. In London, where reliance on European labour is highest, official statistics show a third of those working on the capital’s building sites are citizens of another EU country. The industry simply cannot afford to lose more of these people. It is tempting to hope the labour void will be filled by British workers. But two factors make it likely that hope will go unfulfilled. With unemployment at its lowest level for 44 years, the extreme tightness of the labour market means it’s hard for employers in any sector to attract and retain the staff they need to grow. But construction sector bosses face an even tougher challenge than most. Too few young people see a career in the industry as attractive. Instead, many school leavers have been taught that white-collar jobs are the only meaningful ones to strive for. A record percentage of English 18-year-olds (27.9%) now go on to study for a degree. While a university education can offer much to many young people, the explosion in academic study should not come at the expense of vital trades such as those in the construction industry. The crux of the problem lies with the education system’s failure to communicate the virtues of working in construction, which is seen as gritty and poorly paid. Of course, such a presumption couldn’t be further from the truth. Those in the industry appreciate it for the wealth of opportunity and benefits it offers, not least the pay. The stigma is completely unfounded and, unless tackled, will continue to deter young people from even considering a career in construction. For a generation to be so completely disenfranchised from a sector as crucial as construction is not only a tragedy for the individuals who miss out on a hugely rewarding career, but also for the country’s prosperity – particularly when we struggle to fill constructions sites as it is. If Britain is unable to stem the flow of EU workers leaving its shores, then it will have no choice but to think about how to best incentivise younger people into considering construction. In practice, this will require a hugely increased emphasis on apprenticeships, training schemes and, ultimately, the funding that goes towards them. Because, without them, who will build the Britain of tomorrow? But aside from the desperate need to attract new talent, other knock-on effects from Brexit are likely to exacerbate a range of chronic issues already affecting the industry, not the least the dangerous levels of supply chain stress which drove almost 3,000 construction firms to the wall in 2018. The industry began 2019 with an unwanted honour; the highest insolvency rate of any sector of the UK economy. In March, the Institute of Chartered Accountants in England and Wales (ICAEW) warned the industry is in a ‘race to the bottom’, as firms accept ‘unsustainable low prices, in the hopes that some aspect of the project will subsequently change to improve their profits’. In the ICAEW’s view, the trend could trigger the collapse of some firms if damaged supply chains and squeezed margins are further compounded by ‘the longest decline in bank lending for construction companies since 2011’. The decline, the Institute says, is down to fears of a downturn in the economy and the impact of Brexit. And while it’s all very well to call on contractors ‘to be more selective over which projects to bid for and ensure that they properly understand the risks’, developers need to carry on developing in order to stay afloat, even if it means accepting narrower margins. The buck ultimately stops at Westminster’s botched handling of the Brexit process, which has prompted sentiment in the industry to fall off a cliff. It will only return when the nation’s clarity does and that’s why – whatever the outcome of the Brexit endgame – the sector just wants the whole ordeal to be finished, once and for all. A crisis is looming in British construction but alarm bells are falling on deaf ears. We need more than soundbites and spin to preserve Britain’s construction labour force and promote development, or else the Britain of tomorrow may never get past the planning stage. 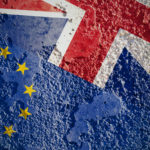 What would a ‘no deal’ mean for the construction industry? Brexit: A blow to the UK’s construction industry?